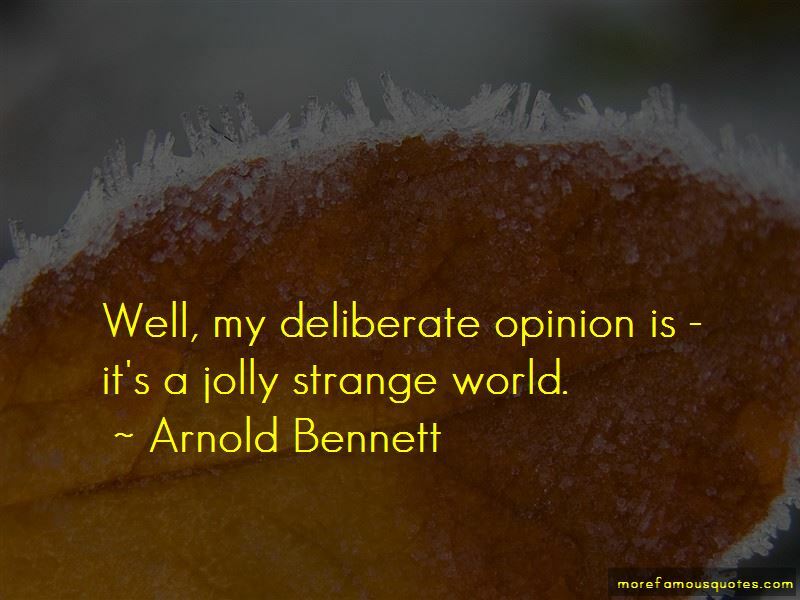 Enjoy the top 112 famous quotes, sayings and quotations by Arnold Bennett. Nearly all bookish people are snobs, and especially the more enlightened among them. They are apt to assume that if a writer has immense circulation, if he is enjoyed by plain persons, and if he can fill several theatres at once, he cannont possibly be worth reading and merits only indifference and disdain. so faithful is the public. 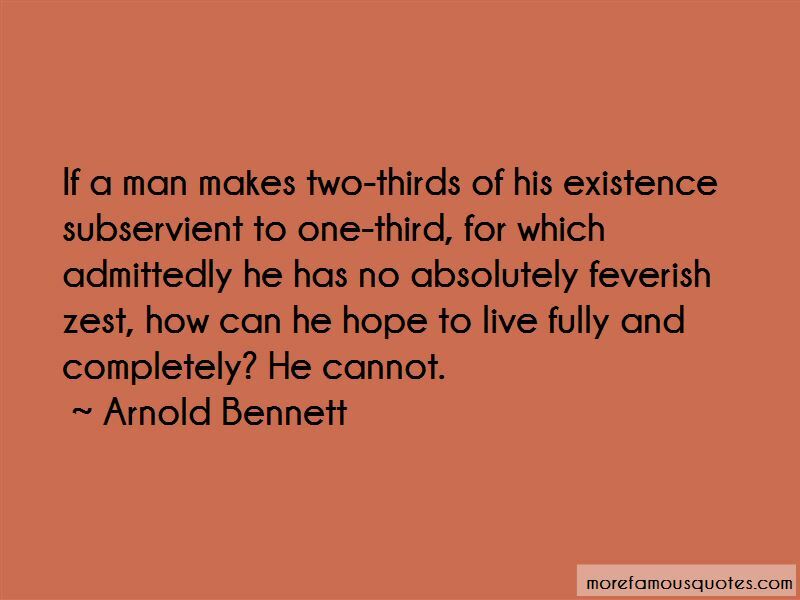 The manner of his life was of no importance. What affected her was that he had once been young. That he had grown old, and was now dead. That was all. Youth and vigour had come to that. Youth and vigour always came to that. Everything came to that. There grows in the North Country a certain kind of youth of whom it may be said that he is born to be a Londoner. Meat may go up in price - it has done - but books won't. Admission to picture galleries and concerts and so forth will remain quite low. The views from Richmond Hill or Hindhead, or along Pall Mall at sunset, the smell of the earth, the taste of fruit and of kisses - these things are unaffected by the machinations of trusts and the hysteria of stock exchanges. A sense of the value of time ... is an essential preliminary to efficient work; it is the only method of avoiding hurry. It is within the experience of everyone that when pleasure and pain reach a certain intensity they are indistinguishable. 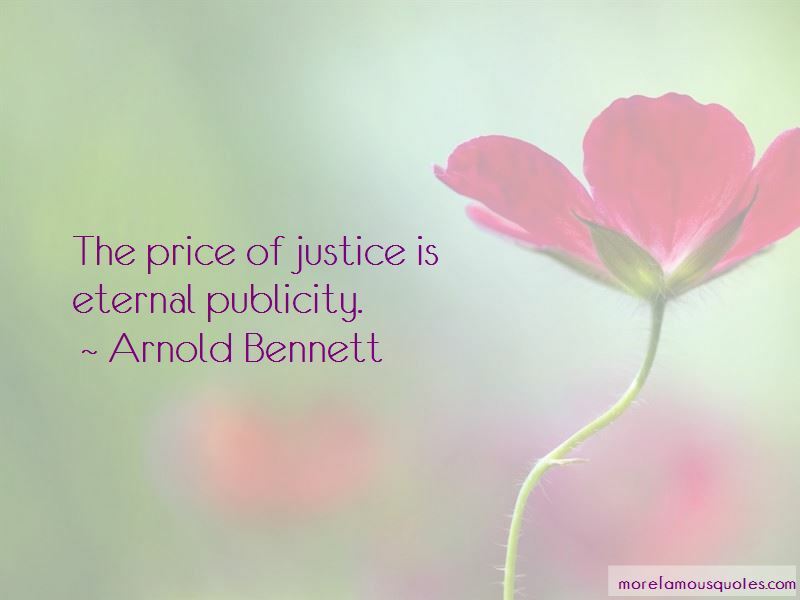 Want to see more pictures of Arnold Bennett quotes? 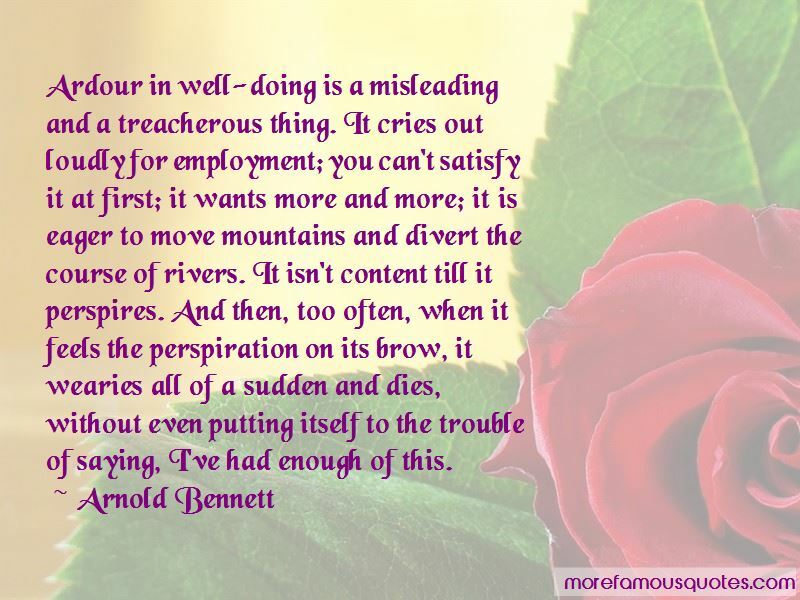 Click on image of Arnold Bennett quotes to view full size.